From the itsLearning home page, open the Developer tab. Click on Add module. 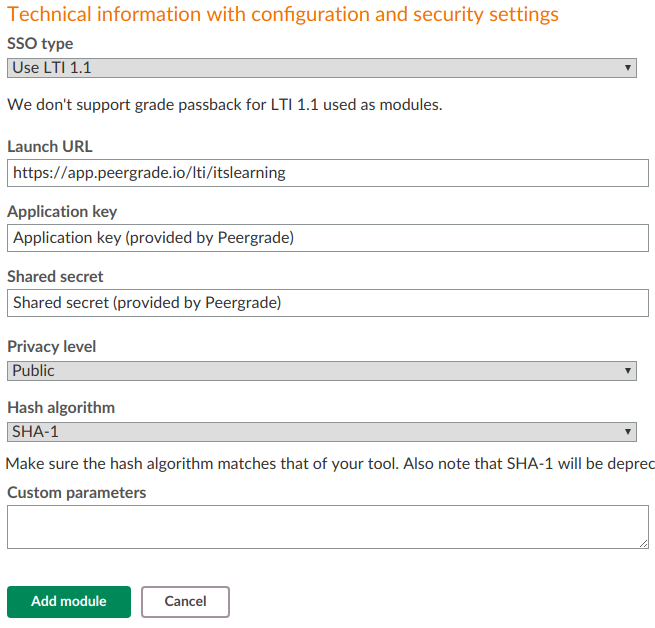 Finally, still under Technical information with configuration and security settings, set Application key and Shared secret to the values provided by Peergrade. These can be viewed in the Institution dashboard on Peergrade, under Settings > LMS integrations. After completing Step 1, open the Admin tab. Go to the Manage menus tab and click on Add module. Click on Search for hierarchy. 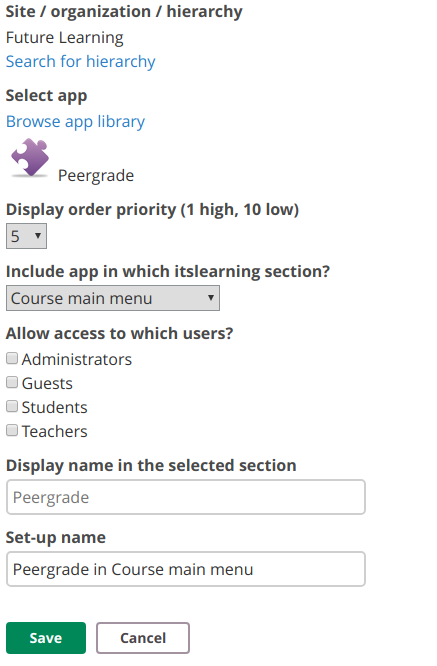 Select the hierarchy corresponding to the teachers for whom you want to make Peergrade available and click OK.
Next, click on Browse app library, search for Peergrade and click on Include this app. Under Allow access to which users?, select Administrators, Students and Teachers. Under Include app in which itslearning section?, select Course main menu. Click Save. Now Peergrade should be available to teachers in their courses' main menu.